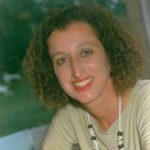 Barrie Wilson Archives - Joelle Delbourgo Associates, Inc. The Dead Sea Scrolls, the Gnostic writings and now The Lost Gospel, a newly decoded manuscript that uncovers groundbreaking revelations about th e life and times of Jesus of Nazareth – a startling follow-up to the New York Times bestseller The Jesus Family Tomb. Waiting to be rediscovered in the British Library is an ancient manuscript of the early Church, copied by an anonymous monk. The manuscript is at least 1,450 years old, possibly dating to the first century i.e., Jesus’ lifetime. 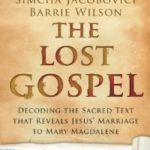 And now, The Lost Gospel provides the first ever translation from Syriac into English of this unique document that tells the inside story of Jesus’ social, family and political life. The Lost Gospel takes the reader on an unparalleled historical adventure through a paradigm shifting manuscript. What the authors eventually discover is as astounding as it is surprising: the confirmation of Jesus’ marriage to Mary Magdalene; the names of their two children; the towering presence of Mary Magdalene; a previously unknown plot on Jesus’ life, 13 years prior to the crucifixion; an assassination attempt against Mary Magdalene and their children; Jesus’ connection to political figures at the highest level of the Roman Empire; and a religious movement that antedates that of Paul—the Church of Mary Magdalene. Part historical detective story, part modern adventure The Lost Gospel reveals secrets that have been hiding in plain sight for millennia. A slick and suspenseful narrative. Jacobovici is a maverick, a self-made Indiana Jones. Barrie Wilson is a professor of religious studies at York University in Toronto, where he specializes in early Christianity. His book How Jesus Became Christian was longlisted for the Cundill International Prize in History and won the Joseph and Faye Tanenbaum Award. Wilson lives in Toronto. 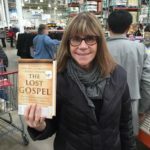 THE LOST GOSPEL at Costco! Any of you who follow me on Twitter (@jldelbourgo) or “Like” us on Facebook (Joelle Delbourgo Associates) knows that THE LOST GOSPEL, by Barrie Wilson and Simcha Jacobovici launched this past week, creating a storm of controversy in the media worldwide–everywhere from Conan O’Brien and Glen Beck to cnn.com, msnbc.com, etc. With its allegations that Jesus was married with two children and many other sensational revelations, all grounded in serious scholarship, it is not a for the faint at heart. So we are hoping that Costco customers like this one will keep picking it up–and taking it to the cash register. Read it and decide for yourself! Barrie Wilson recently retired as professor of religious studies at York University in Toronto, where he specializes in early Christianity. 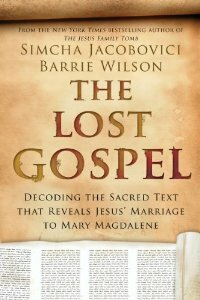 His new book, co-authored with award-winning film-maker and international bestselling author, Simcha Jacobovici, The Lost Gospel: Jesus Marriage to Mary Magdalene, Bride of God (Pegasus, November 2014), is sparking controversy worldwide. Wilson is the author of How Jesus Became Christian (St. Martins Press), which was a national bestseller in his native Canada and long-listed for the Cundill International Prize in History. Wilson lives in Toronto. The Lost Gospel derives its argument from an ancient manuscript of the early Church, written by an anonymous monk and thought to be at least 1,600 years old. It seems to be the first solid written evidence that Jesus was married to Mary Magdalene, recounting that Magdalene was a gentile, that Jesus and Mary had children, and that there was a plot to kill Jesus, abduct Mary and murder their offspring. Part detective story, part travelogue about a journey into the maw of the ancient world, the book reveals a secret that’s been hiding in plain sight for centuries. 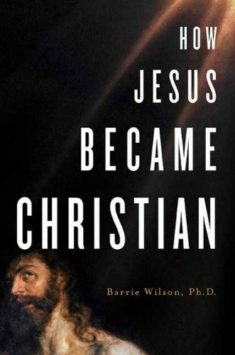 In How Jesus Became Christian, Barrie Wilson challenges the way most people think of Christianity, arguing that what we know today as Christianity is not the religion created and preached by the historical Jesus and, in fact, bears little resemblance to what he taught. Rather, Wilson says, contemporary Christianity was a creation of Paul, decades after Jesus’ death and quite separate from the religion being taught by Jesus’ original followers. Wilson brings Jesus back to his Jewish roots and context, laying out the different groups within Judaism in the 20s AD and situating Jesus and his teachings in their original milieu. He shows that Jesus was a Jewish teacher and had no desire or intention to create a religion. Wilson explains that Jesus never thought of himself as anything other than Jewish and this included adherence to the beliefs and practices of Judaism. When he died, his movement lived on as what Wilson calls “the Jesus Movement,” led by Jesus’ brother James. But then, in the 50s AD, something changed. Paul, who was born Jewish but who no longer identified with Judaism as an adult, had an epiphany, a revelation of the Christ, while in the desert. It was Paul who created a new religion, what Wilson calls “the Christ Movement,” which adopted the figure of Christ, ignoring the historical Jesus and his teachings and scorning the Jesus Movement he had founded. Because Paul’s movement was easier to follow and convert to because it did not require observance of the Jewish laws, as the Jesus Movement did, and because it tapped into the appeal of Roman mystery religions, it grew and outstripped the Jesus Movement. Wilson offers a cogent account of how what Jesus actually said and advocated was gradually transmuted until it became something that would have been unrecognizable to him.